In late May we kicked off the Downtown Booster Squad, a series of happy hour events created with downtown Fresno enthusiasts in mind. A program of the Downtown Fresno Partnership and Downtown Fresno Foundation, these events are aimed at bringing together dynamic leaders to network and find opportunities for cross-collaboration and community-building. For the inaugural Downtown Booster Squad event, we celebrated five classes of Downtown Academy. What’s Downtown Academy you might ask? A 10-month program designed to connect key business members, government officials, community leaders, and young professionals to downtown Fresno and its exciting future. 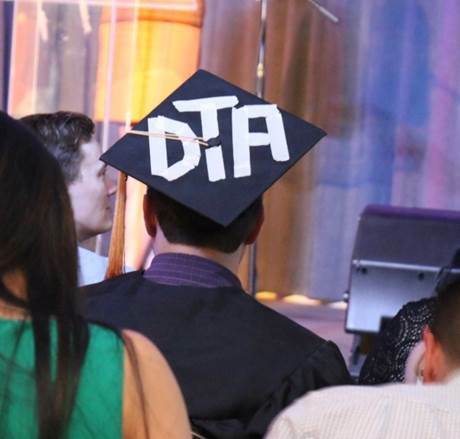 The fifth Downtown Academy (DTA) class graduated last month with a celebration at Club One Casino. 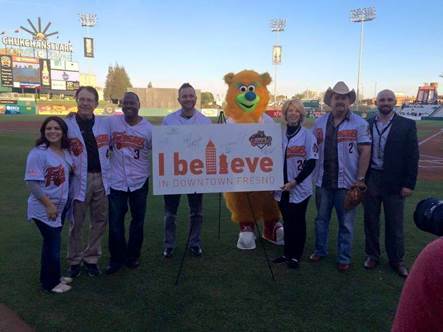 The program, which started in 2010, was created between a partnership with the City of Fresno’s Downtown Revitalization department and Fresno’s Leading Young Professionals (FLYP). Dawn Steele, vice chair of FLYP at the time, asked to create the then eight-month program, marking the beginning of FLYP’s focus on downtown – a direct answer to Mayor Swearengin’s passionate call for action at the State of the City. The last five DTA classes have been taught by Craig Scharton, former business development director for the City of Fresno, interim CEO/president of the Downtown Fresno Partnership, and longtime downtown revitalization advocate. In each class, participants learn about a different facet of the downtown environment, from the elements that determine if a downtown succeeds or fails, to a planning discussion that highlights the role of zoning and design in urban areas. Every DTA class takes on a unique project – a call to action – designed to advance downtown revitalization efforts and utilize the skills they’ve acquired. Class I held meet-ups in homes and workplaces for open discussions about restoring traffic to Fulton. Class II created an event to support and raise awareness for DFP’s brand-new ice rink in downtown Fresno. 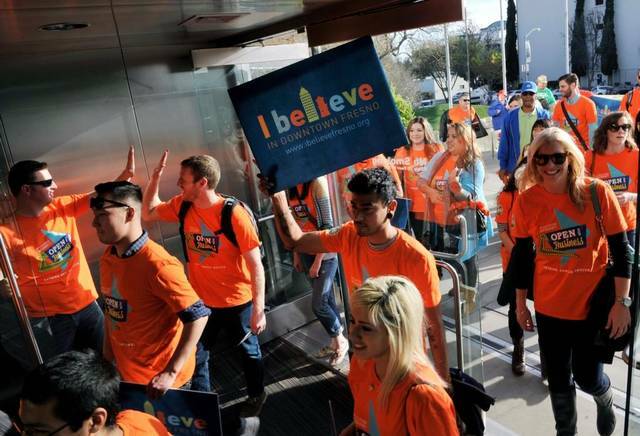 Class III’s “I Believe” program engaged the community and mobilized more than 100 people to the city council vote on the Fulton Street project. Class IV hosted the groundbreaking party for Fulton construction, which engaged local businesses and attracted hundreds of supporters to the momentous occasion. Kate Borders, former president/CEO of DFP, instructed DTA classes for two years with Craig Scharton. One of her favorite aspects of DTA is that it highlights all the ways in which places can lure people in – arts, living, working, events, cultural districts, and even seats of government. Applications for the sixth class of DTA will launch this month. Stay tuned to DFP’s social media for more information on the applications and updates on our next Downtown Booster Squad event.